Mailchimp Lists Every Small Business Needs — MKW Creative Co. EMAILS?! Seriously? People are still email marketing?! Yes. Here's Why. In a world that is overwhelmed and inundated with advertisements (looking at you facebook) and sneaky advertorials (think instagram sponsored posts), it can be tricky as a small business to compete with the big dogs that have lots of ad spend money. I am a big believer in growing small business brands organically -- and that comes from creating trust between your clients and your product/service. When someone is on your website and elects *voluntarily* to add their details, they are saying to you "yes, I give you permission to send me YOUR stuff." This is SO IMPORTANT. This means that this person is someone who has the potential to be one of your next clients, an ambassador for your brand, and just a straight up fan of your work... who doesn't want that? There are a ton of great email marketing services out there for small businesses. MailChimp is my favorite because it is free for new businesses (up to 2k subscribers and 12k emails per month). 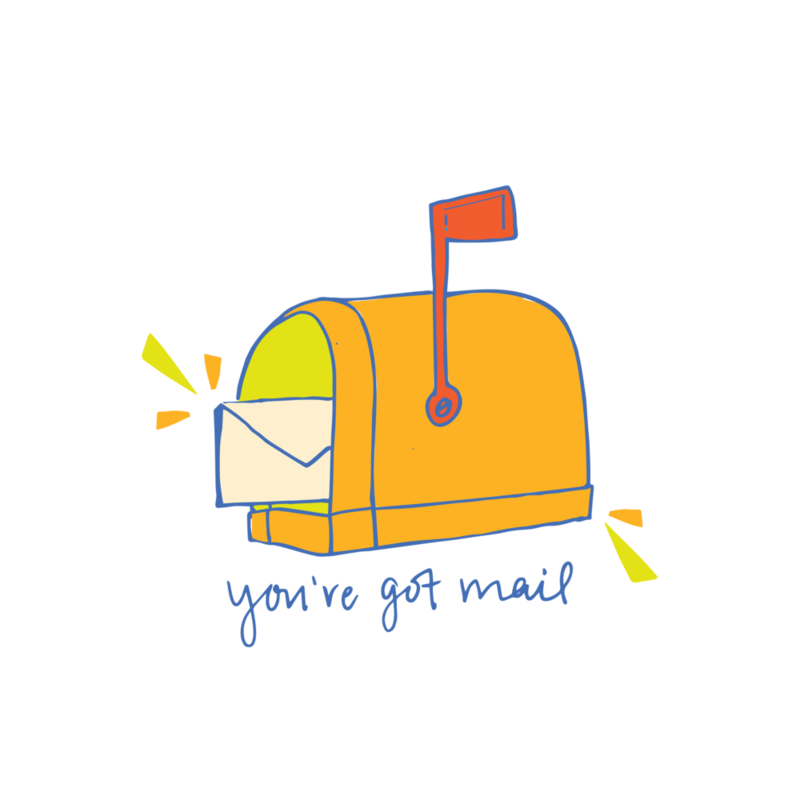 MailChimp is great because it allows you to build separate lists (databases), and then market to those lists directly based on what they input their info for... You should take a listen to Jenna Kutcher's Podcast on email lists. It really changed my perspective on email lists and why they are so important. When someone submits a contact form on your website (especially if it is a Squarespace Site) you can indicate where that email address should be stored. Obviously, you want to get this email in your email inbox, But once you connect your MailChimp account, you can also have this info sent to a Contact Form List. We would hope that a good majority of the people who fill out the contact form become your clients. These are what you would call "HOT LEADS" aka your Money List (see Rihanna Gif) or basically people who have a high probability of using your services. This list represents your cheerleaders, your brand advocates and your number 1 fans! Give them the best of what you've got to share. Obviously, you want to send them what they are opting in for. Read: Freebies: Why, Why and How you Might Want to Offer Free Content on Your Website as a Small Business Owner You would do so with a Triggered Automation (more below). I create a new list for each of my opt ins, so I can track which are most popular. You can set up additional automations to this list to send a few days, weeks, or months after the opt-in is sent. For example, someone who downloads my 30+ Free Coffee Themed Stock Photos might also be interested in all the Apps I use to edit my iPhone Photos. This is great content to send to that list. Even if you don't send them right away or regularly, Newsletter Lists are great for small businesses. You can add the Newsletter Block (like the one you see below ... hey, hey) really easily to any page on Squarespace. It is also a good idea to add it to your website's footer and also as a pop-up if that floats your boat. Get creative with your verbiage instead of just "Sign Up" or "Subscribe." This is your "COOLEST" of the three leads meaning that these people need a lot more nurturing to convert them into loyal customers and brand advocates. You can do a newsletter 1x per month or 1x per week and share things like new blogs, new resources, new videos, client stories, events, local happenings, or any other content that you think your audience would find relevant or useful. Subscribe to mine! Promise not to spam! Can’t promise I won’t send memes. Now there are many different types of emails, but for simplicity's sake, I am covering the two that I use most often. An automated email is something that sends after a "trigger", like a newsletter sign up, opt-in, purchase or contact form submission. The best part about automated emails is that once you set it, you can forget it and ensure that if someone sends a contact form or opts-in for a freebie, it will send to them without you lifting a finger. Thanks, robots. Hi there! It's _____. Thanks so much for submitting the contact form on my website. I am most likely _________. I answer most emails between ___ and ___ and will get back to your request _________. In the meantime, you can do these simple steps! - Save my email address to your contact list to ensure my messages don't accidentally get stuck in your spam. Follow @________ on Facebook and Instagram (+any other platforms you use) to get tips/tricks/advice/updates on ____________. If you've got more questions about email marketing, don't hesitate to drop me a comment below or email me directly at mkwgraphics@gmail.com! Loved this blog? You might want to check out these ones too!